Provide naturally flawless while feeling totally weightless and soft on the skin. Waterproof, long wearing, anti-aging, moisturizing, irritant-free,won't clog pores. It's perfect for all skin types. Apply an appropriate amount of foundation onto face to form a thin layer,press gently until complete absorbed. 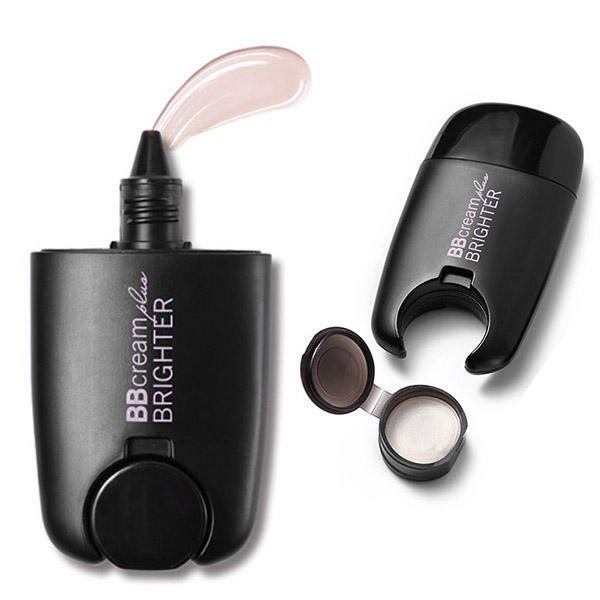 The brightener texture is soft and smooth with light pearl shine to brighten your stereo contour. and disguise concentrated in one step, cast invisible magic.